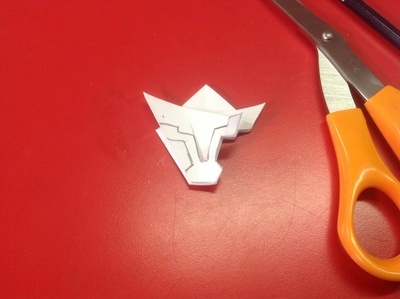 This is a classic Christmas craft activity. 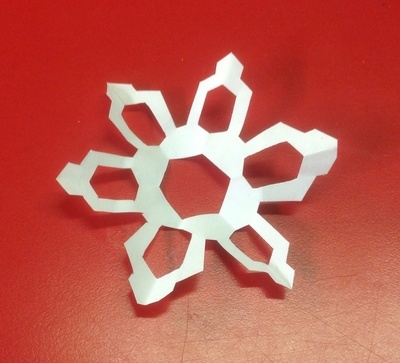 Younger children can use plastic scissors and make basic shapes, while older children will love these large, intricate snowflakes that they can plan out in advance. 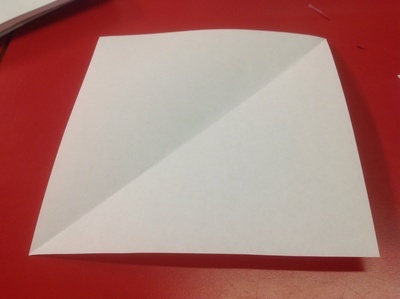 If you are using square paper, then you’ll just need to fold the paper in half diagonally. 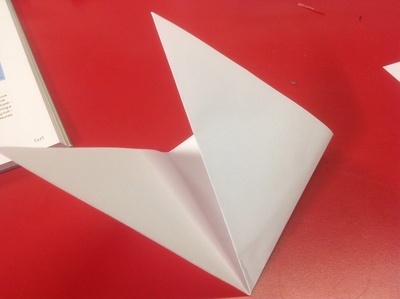 Once this is done, fold each corner up, at about a 60 degree angle. 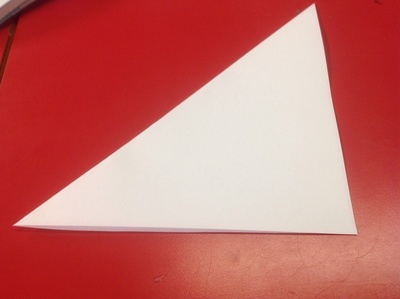 Another way to think about it is to fold the corner up so it crosses ¾ of the way up the opposite edge. You could quite easily measure that with a ruler, but I just estimated. 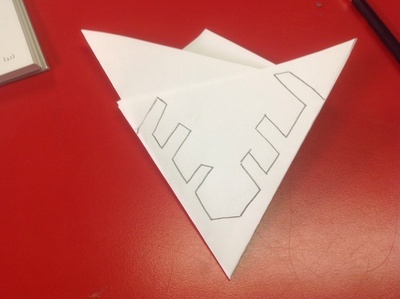 Do the same with the other corner, so you have a symmetrical triangle with two point tails sticking out the top. 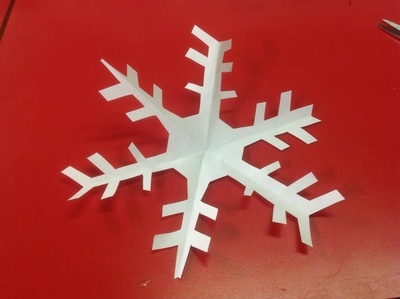 Sketch your snowflake design. 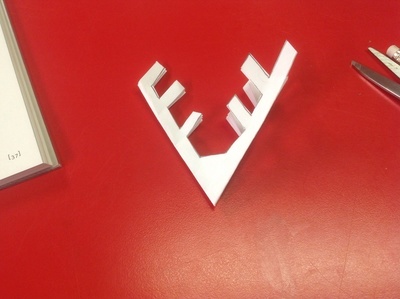 I’ve shown two here – they are both classic 6-sided snowflakes but with a very different look each. 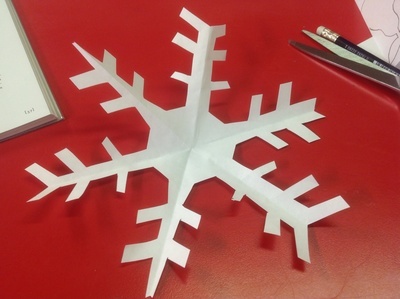 I just free-handed them, but you use a ruler and measure the lines for a completely symmetrical snowflake. 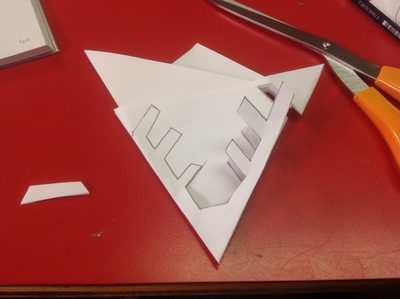 Carefully cut around the edges of your pencil lines using a pair of scissors. Stick a few up on a wall or window, or use a hole punch and thread with silver string and then hang on a Christmas tree.